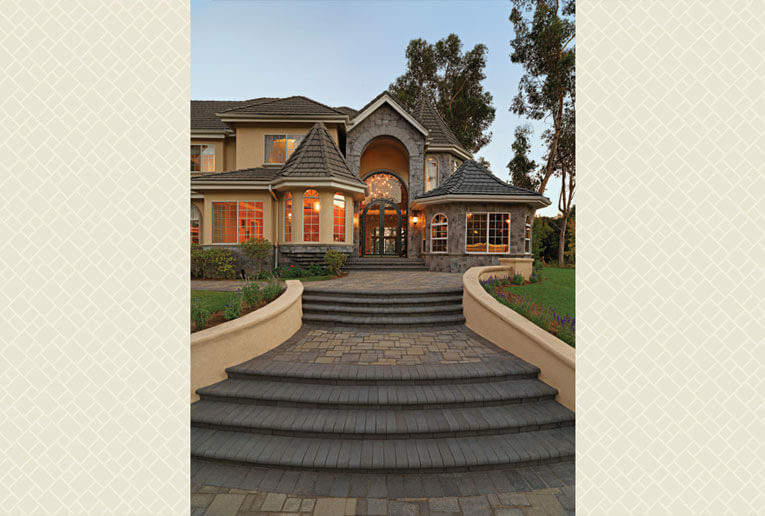 The Perfect complement to finish exposed edges at steps and decks. 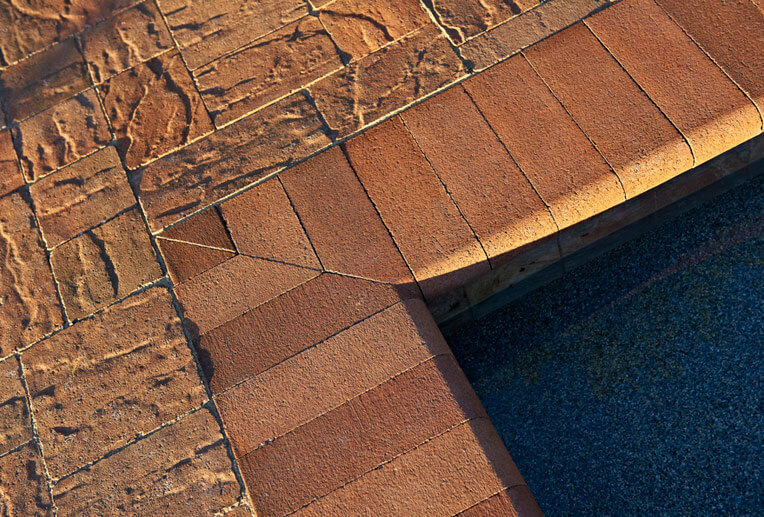 Pool Coping: Distressed Cream-Terracotta-Brown Slate Stone Combo in an ashlar pattern. 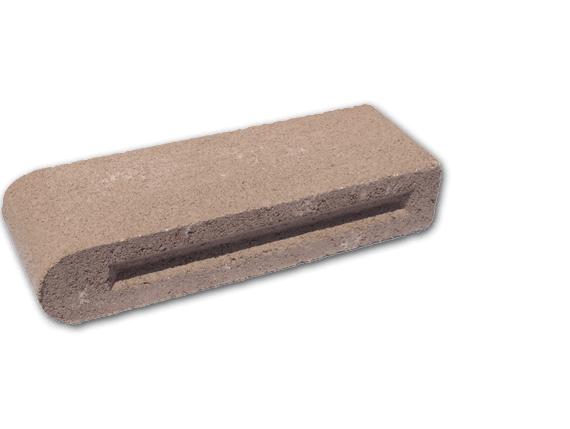 Bullnose pool coping is Cream-Terracotta-Brown. Slaton Random Gray-Moss-Charcoal ashlar pattern. Raised border is Bullnose Charcoal. 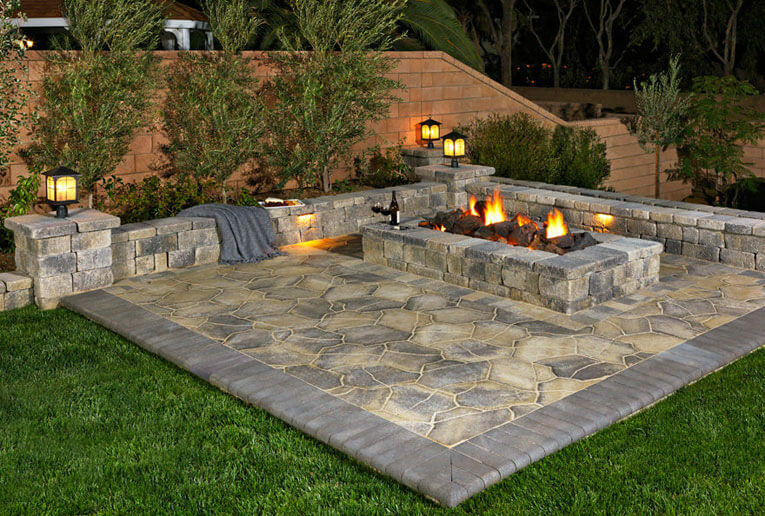 Walls and firepit are Stonewall II Gray-Moss-Charcoal.